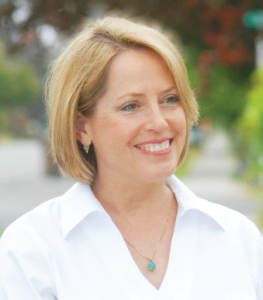 Julie Anderson is the Pierce County Auditor. The Auditor’s Office is responsible for elections, public document recording, vehicle and business licensing, and animal control. She is a nationally-certified election administrator and a state-certified public records officer. Prior to becoming the Auditor, Julie was the Senior Policy Advisor for the Washington State Department of Commerce. She was also as a member of the Tacoma City Council and the Executive Director for both the YWCA of Tacoma-Pierce County and Episcopal Services for Youth. Julie has volunteered for the Washington State Bar Association, the Washington State Criminal Justice Training Commission, the American Leadership Forum, and Washington SAFE. She is Rotarian and an active member of the American Association of University Women, the League of Women Voters and the Tacoma Historical Society. Her professional history draws on a wide variety of fields, including community corrections, human services, local government, public policy and economic development. Julie’s leisure time is spent soaking up visual art, creating jewelry and print work. She lives in a historic home that she salvaged: The Whitworth College Literary Society Hall.